Free sports injury evening at Worcester Chiropractic Clinic. On the 29th of July 2014, Worcester Chiropractic Clinic are hosting an information evening focused on sports injuries. The evening is not specific to one particular sport, so no matter what your game, whether you are performing at the highest level or just going for the occasional jog, pop along and see us! 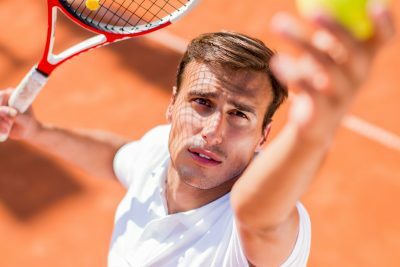 Sports injuries are a very common cause of pain, and it doesn’t just have to be tennis elbow: Athletes pick up all kinds of injuries, from whiplash to sprained ankles. Even at the very highest level, it unusual that one specific event of overloading is the cause of injury. More commonly, there is high loading but it is a degree of mechanical or neurological dysfunction that suddenly deteriorates to create an injury. This provides great scope for injury prevention and rapid rehabilitation and top flight clubs and athletes are starting to recognise this by employing chiropractors more and more regularly. Previously most elite athletes who received chiropractic treatment sourced it by their own initiative. Our chiropractors have extensive experience in the field of sports medicine, and have a combined background covering virtually every sport imaginable, from powerlifting to ballet! Hopefully this evening will provide an entertaining and informative experience that everybody can gain from, no matter what their background. The evening is to take place at Worcester Chiropractic Clinic in St Johns, Worcester, and will run from 18:00 to 20:00 on Tuesday 29th July. Free parking is available in the church car park opposite Worcester Chiropractic Clinic. Canapes and refreshments will also be available. A map of showing the location of Worcester Chiropractic Clinic can be found here. Feel free to contact the clinic with any queries prior to the event, or just to let us know you are attending.